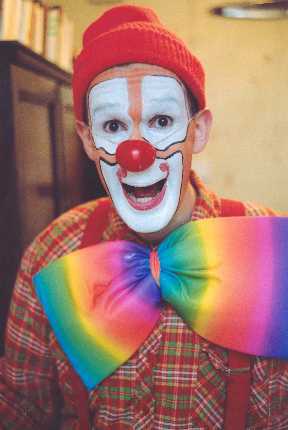 I have been clowning since 1993, working at childrens parties and corporate entertainment. I use magic, balloon modelling and games in my two hour shows. For the under 5s I have songs using the guitar, plus magic and balloons. In walkabout, I use magic, juggling, music and balloon modelling. I also have a theatre show.